Gordon Ramsay may be a devil and ruthless in the kitchen, bashing and swearing his junior cooks but there’s no denying that he is one of the best and perhaps the best chef in the world. The veteran chef has been in the top along with Jamie Oliver, Delia Smith, Thomas Keller and Anthony Bourdain, with his very own shows with him as the host and he even has his own restaurant, Restaurant Gordon Ramsay in Chelsea. Here’s a peek on why we love him the vicious awesome dude. Yes, he might be mean and devilish in his ways when it comes to coaching his cooks as shown in his shows, but this shows that he is brutally honest in voicing his opinions and coming up with the most terrible insults to have them learnt their painful lesson. Chef Gordon has been working really hard throughout his career, starring and hosting several TV shows over the years from Hell’s Kitchen, Kitchen Nightmares, Hotel Hell, Masterchef and even Masterchef Junior which of course, not much swearing and he was nice to the kids. The chef has even appeared as cameo himself in several shows such as The Simpsons and New Girl. He isn’t as merciless as Ramsay Bolton after all. He is Gordon Ramsay, a man of honor and does the noble act of raising and helping and does a lot in charity work over the years, in the likes of launching his own event to help in the funding of family support centres, international charities, Women’s Aid and many more, working alongside with celebrities in funding such as Michael Sheen and Woody Harrelson. Despite his malevolent ways in screaming his frustrations, he is calm and down-to-earth when it comes to coaching during his stint in Masterchef Junior. Of course, they are children. He can’t be so straightforward insulting them head on with painful words. But this shows us a different side of him and he can really be the kindest person ever. Gordon Ramsay has the genuine act of helping others in need as shown in Kitchen Nightmares and Hotel Hell, helping businesses that are struggling in the market by focusing on their issues and suggesting amendments and improvements for them to help build up their establishments. 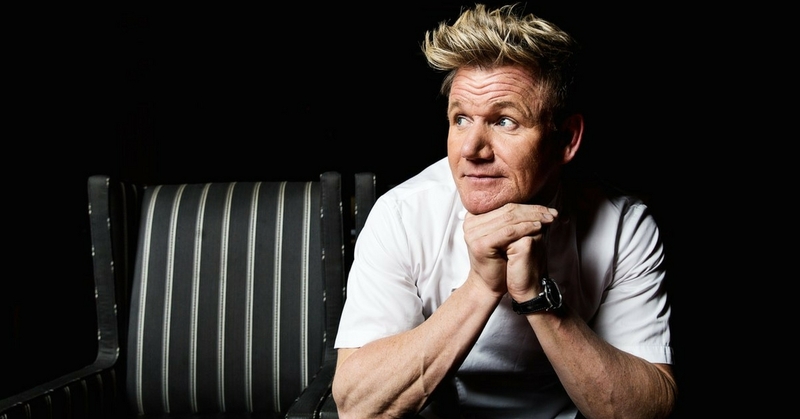 Ramsay has won numerous chef awards for his recognition in cooking and ruthless personality, as his restaurant was voted as the top restaurant in the United Kingdom and even gained three Michelin stars, making him one of the four chefs in UK to have the prestigious accolade. Gordon Ramsay was then inducted into the Culinary Hall of Fame in 2013.